Another bronze cast at Artworks Foundry was on the news recently! 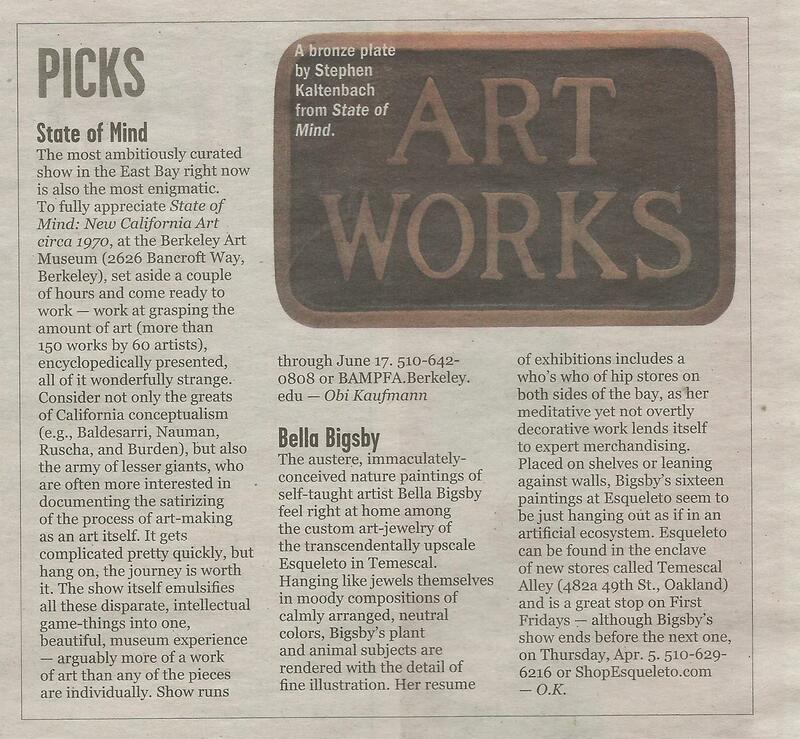 The bronze artwork pictured on the East Bay Express news is a plaque made by the artist Stephen Kaltenbach and it’s part of the interesting exhibition tittled “State of Mind: New California Art circa 1970”, at the Berkeley Art Museum (2626 Bancroft Way, Berkeley). 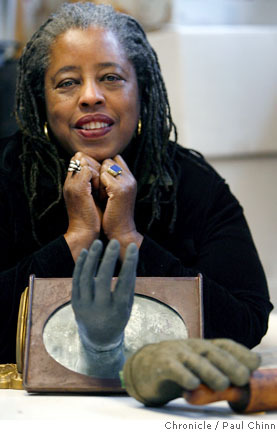 Mildred Howard, an important Bay Area artist and social activist, was honored this week on the Alameda Women’s Hall of Fame. Representing the Art and Culture category, she was selected for enhancing and encouraging individual creativity in the performing, visual and media arts. Artworks Foundry and Mildred have been working together in the past few years and we are proud to have her as one of our clients.